A new appreciation of open space and green design is changing the face of landscaping in the UAE. It is a fact of life that the car is king in many Middle Eastern cities, and while tree-lined highways and public parks do exist, much of the region’s landscape architecture has been designed to be viewed through car windows. It is not only breakneck development that is to blame for the region’s lack of well-designed open space, it is the climate too. After all, sitting outside is not very agreeable in 50 degree heat, and it was inevitable that air-conditioned passages would take precedence over open air walkways. Deep down, I understand that any press is good press – especially for under-publicized places like Aleppo. So I’m glad that recent articles have caught on to the fact that there have been major rehabilitation projects going on. But the writers need to do their homework – the projects have been going on for over twenty years, and most of the major initiatives for physical upgrading or conservation have reached ‘completion’ or are actually slowing (in terms of growth, investment, projects, etc.) in recent years. Also, why call the city ‘ravaged’? Maybe, after the Moguls, but now? The journalist interviewed several of the key actors, and listed more than a few facts, all of which is good, but just seemed to miss the point and ended up spinning his story in a strange direction. . that of a city ‘beaten down’, Maqrizi-style. Many of the other claims were a bit tenuous as well – economic decline just from the Suez canal? The piece is full of small cringe-worthy statements. I could have expected this from Bloomberg, but am surprised that the New York Times picked it up, with the title “Aleppo to undergo historic restoration”. What? To undergo? An jad? Why can’t we have more nuanced writing about the Middle East? Someday? 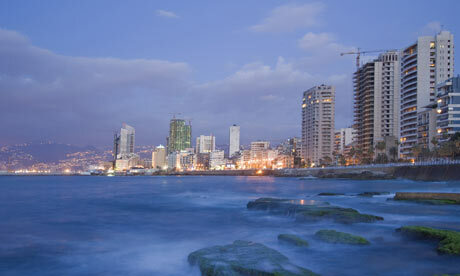 The built environment of Beirut is rapidly changing, and this transformation is destroying much of the city’s rich architectural fabric. Surrounded by the new towering Beirut is the unique and heavily scarred structure of the Egg. Who wants to walk in the sweltering heat? Good street design starts with pedestrians. The world’s great cities are delightful and safe for walking, resulting not only in lower rates of driving but also improved public health. Good street design supports Abu Dhabi’s environmental goals: reducing CO2 emissions, minimizing the urban heat island effect and reducing water consumption. Street connectivity enhances road capacity and allows smooth traffic flow. Congestion worsens when most vehicle traffic is funneled onto arterial streets. Somewhere in the heat of the desert, the kings and princes of Saudi are singing to themselves “ if you can do anything I can do better, I can do anything better than you…” obviously in Arabic to be exact and pointing the finger at Dubai. Earlier this year, it became official that the Kingdom of Saudi Arabia has signed a new contract with Adrian Smith + Gordon Gill Architecture. 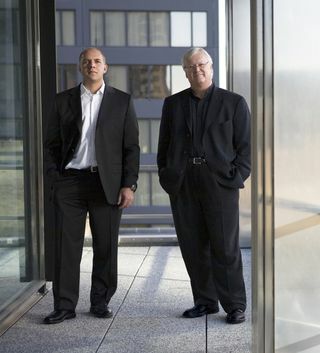 Four years ago, both Adrian Smith and Gordon Gill were former employees of Skidmore Owing and Merrill Architects (SOM), and while working for SOM they designed the Burj Khalifa in Dubai. It seems that Saudi Arabia knows who to call and does not really have to go far when searching for the best of the best in architects. Even though Adrian Smith + Gordon Gill Architecture have yet to complete and sign the contract with Saudi Arabia all the excitement and hype has been already begun circulating around them. While they have yet to confirm any reports regarding this project, all this hype got me thinking that as architects, we definitely owe it to the Middle East to allow us to become “Stararchitects”. Yes, it is true that way back in the 8th century when the Middle East was being developed and re-developed, the tallest “towers” were the minarets, and the architects were not even given any credit. However, the extreme financial support that comes out of these wealthy countries now allows the architects to push boundaries in both technology and design. And thanks to the Middle East, every architect has a voluptuous budget to play with and the potential to design anything that they aspire without a budget constraint. With such designs, young firms are immediately put on the map and other potential project follow. I’m no architect, but Jean Nouvel’s latest design for Doha seems to provide a needed push to the current envelope of the well-worn reincarnations of ‘Islamic’ arches, ‘layers of privacy’, mashrabiyyas, and whatever other token/’classic’ design elements now repetitively stamped across the new symbolic buildings of the Middle East. But, while the birds-eye-view of the ‘sand rose’ crystalline formation of the roofs is striking, it makes me wonder if the museum is just another example of a ‘rendering’ building – structures where the most impressive view is from far away, somewhere in the distant sky of a computer projection or a postcard, and not where any human will approach and interact with the building. Then again, perhaps a postcard, and an aerial photo are just as valid methods for experiencing and being moved by form. 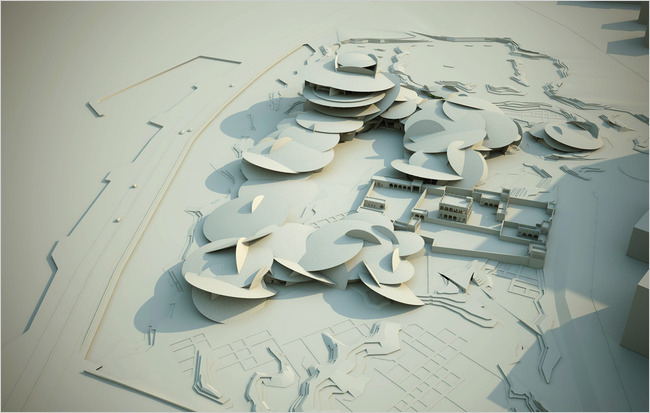 What do the architects think? Finally, I’m just a bit skeptical as to how a bricks-and-mortar building can communicate impermanence, and stones-the-color-of-sand will imbue visitors with a sense of their past and the desert, not to mention some sense of the importance of oral narratives in the Beduin culture. Why not have a series of installations all about town, with stories being told – and produced – on the benches and buses? What types of activities will be programmed into the spaces such that visitors can feel part of an ongoing story, not just a ‘finished’ past? All that said, it still looks like it will be a fabulously beautiful building. Perhaps I just need to visit to become convinced.